Despite having been on the market only for a couple of months, the Blackmagic Pocket Cinema Camera 4K has gained a lot of traction continuing to attract more and more eyeballs as we speak. With its ability to shoot cinema grade footage at a relatively low cost, the Pocket Cinema Camera 4K has quickly become a favorite among independent filmmakers looking for an affordable camera that offers an optimal balance between price and performance. Along with its rising popularity, some folks wonder how does the all-new camera stack up against its almost 5x more expensive counterpart – the URSA Mini Pro. Filmmaker Zebra Zone takes a look at the differences between the two siblings, comparing image quality, usability, and feature sets. Before we dive into the comparison, it’s important to sort out some of the apparent differences between the two cameras. For starters, the BMPCC 4K features a Micro 4/3-sized sensor, capable of shooting up to DCI 4K (4096 x 2160) at 60 fps with 13 stops of dynamic range. On the other hand, the bulkier URSA Mini Pro sports a Super 35mm sensor boasting 4.6K 60fps capabilities with 15 stops of dynamic range. Despite the difference regarding sensor size, the image quality between the URSA Mini Pro and BMPCC 4K is pretty similar, except for the perceivable dynamic range. 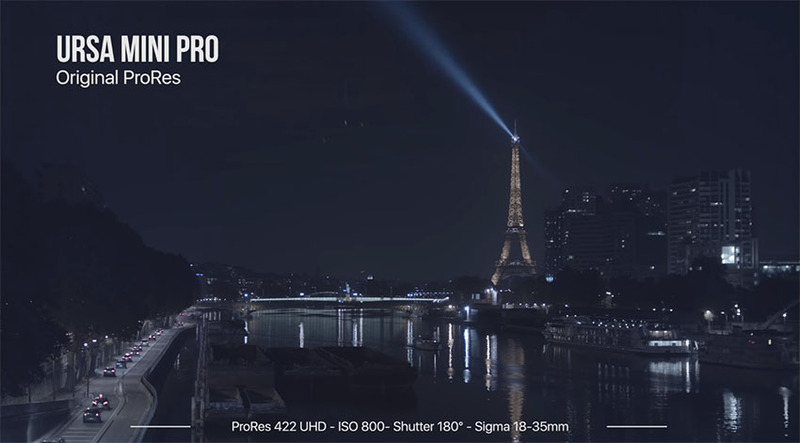 In that regard, the URSA Mini Pro seems to be the superior performer not only on paper. Since both cameras use similar color science, it’s no surprise that color matching them in post is super easy. While the URSA Mini Pro definitely leads with dynamic range, the BMPCC 4K also has its moments over its more expensive counterpart. For instance, in some of the footage, the BMPCC 4K looks slightly sharper than the URSA Mini Pro. 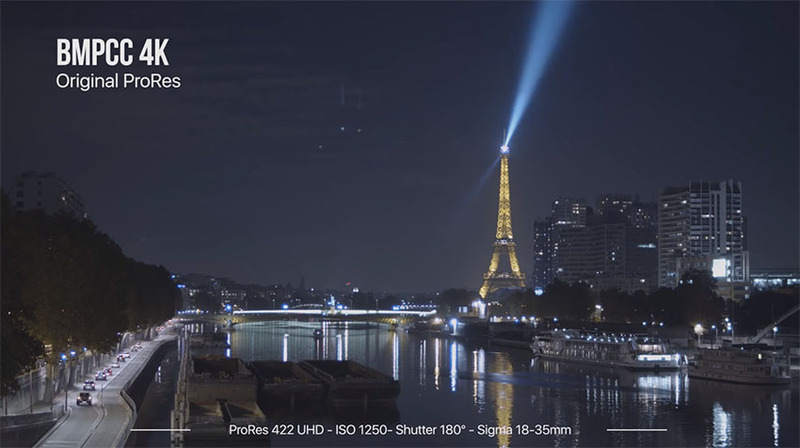 In addition, the BMPCC 4K turns out to perform better in low light situations. While both cameras look similar at ISO 200, boosting to ISO 1250 reveals the BMPCC 4K to have more pleasing highlight rolloff and overall less noise than the URSA Mini Pro. Other than video quality, Zebra Zone goes into comparing each camera’s ergonomics and usability features. 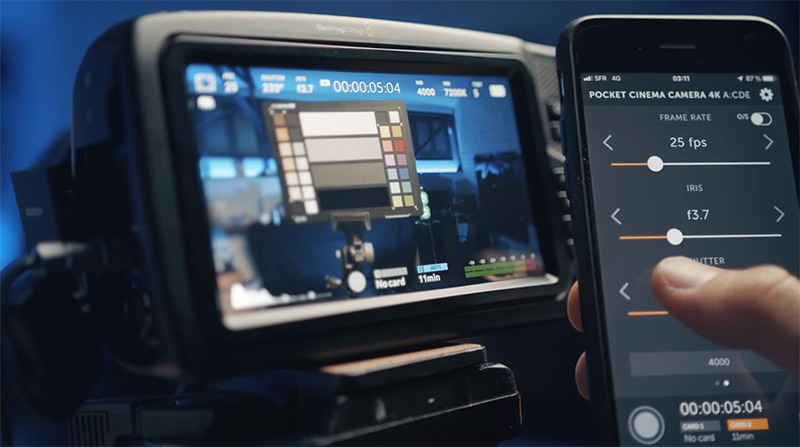 Besides that both units feature the same intuitive TouchOS interface, it’s obvious that the URSA Mini Pro is much larger than the BMPCC 4K, making it difficult to mount on weight-sensitive rigs. Nonetheless, the URSA Mini Pro form factor does include some extra features such as SDI In and Out, built-in ND filters, and V-Mount battery support that provides a battery life of up to 4 hours. 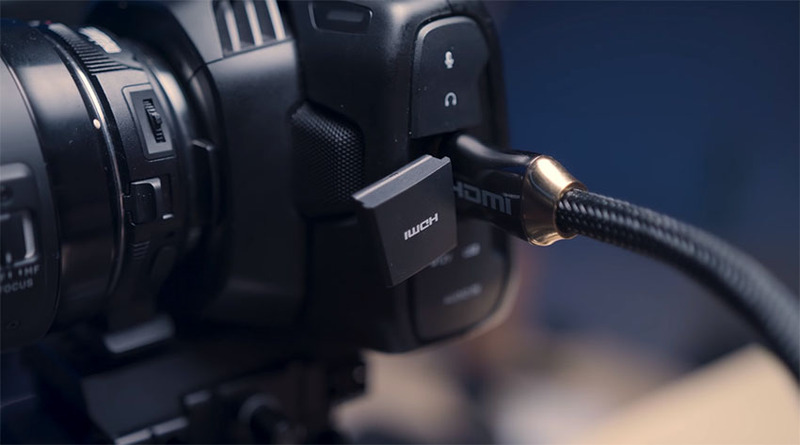 The BMPCC 4K’s smaller design, on the other hand, poses certain limitations such as shorter recording times (45 minutes per battery) as well as a limited port selection, with the camera omitting any professional SDI In/Out ports, substituting the connector with a traditional HDMI out. While the BMPCC 4K has its limits, its compact design does offer one significant advantage: the inclusion of a bright and color accurate monitor that is much larger and easier to work with than the display on the URSA Mini Pro. 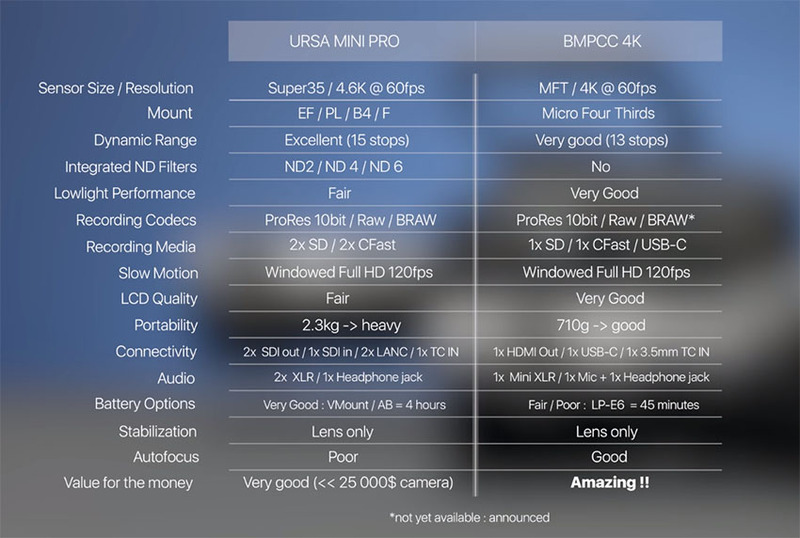 Lastly, the video compares the BMPCC 4K and URSA Mini Pro in terms of recording capabilities. On the URSA Mini Pro, one can record RAW or ProRes, with support for higher quality ProRes flavors: ProRes 444 and ProRes 444XQ – all onto two CFAST and/or two SD Cards. Meanwhile, the BMPCC 4K has single CFast 2.0 and SD/UHS-II Card slots that let you record RAW or ProRes. 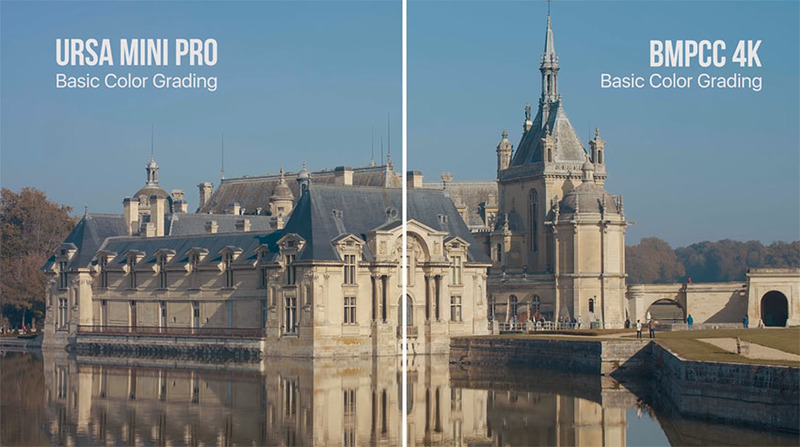 Unlike its bigger brother, the BMPCC 4K doesn’t feature the higher-end ProRes options either. Rather than that, with the newly included USB-C port of the BMPCC 4K, you have the ability to record to an external hard drive, enabling you to maximize your recording time on set. As a bonus, the BMPCC 4K will even let you import and burn LUTs directly onto your footage if you’re looking to shoot on a project with quick turnaround time. After comparing these two cameras, it safe to say that each one serves their own purpose. The URSA Mini Pro, with its Super 35 sensor, bulkier form factor, and expanded feature set is full-fledged cinema camera designed for professional shoots and bigger productions that require the expansion options as well as the more versatile array of inputs and outputs. The Pocket 4K, on the other hand, seems to be more suitable for one-man-band situations where the compact size and light weight are essential prerequisites to move quickly and efficiently on set while taking full advantage of the unrivaled feature set and incredible price-performance ratio the unit delivers.